Devon provides a superb climate for the cultivation of garden plants. The temperature is relatively high compared to the rest of the UK with rainfall and high winds being of manageable proportions. So it is no surprise to find a large number of garden centres in this area of England. Otter Nurseries are the largest garden centre in Devon, well into the top twenty UK garden centres according to turnover. Plants are the heart of Avon Mill Garden Centre and they stock a large choice of shrubs, herbaceous plants, trees and seasonal bedding including lots of hanging baskets. .... Click here for the full review including daily opening times and Bank Holidays. Burnham Nurseries are in a very niche market growing their own orchids and selling them to the public at their nurseries in Devon. 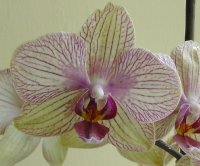 They have the largest choice of orchids for sale anywhere in the UK.... Click here for the full review. Eggesford Garden Centre is set in truly beautiful part of the countryside with stunning views of the Taw Valley. Unusually for a garden centre access via rail is simplicity itself. It is located about half a kilometre.... Click here for the full review. Endsleigh Garden Centre is one of seven garden centres in the Garden and Leisure Group. In 2011 it was the 14th largest garden centre (judged by turnover) in the UK and the second largest in Devon after.... Click here for the full review. It's not possible to "stack them high" as far as plants go but at Fermoys they have crammed in a lot of plants into the available area. Although they have avoided the boring straight line layout adopted .... Click here for the full review. Greenfingers Garden Centre began as a nursery selling home grown vegetables and a farm shop. Over several years a medium sized garden centre has emerged selling a good range of plants. The site is .... Click here for the full review. All the conifers sold have been grown on site and the owners really know this business. They started the business in 1978 at Bideford and then moved to their current location. .... Click here for the full review. Some of the plants area is under cover in large greenhouses providing protection from rain. The majority of paths are solid paving making getting round relatively easy. This is medium-sized and .... Click here for the full review. The Old Well Garden Centre is family run and has been trading from 1981. They are medium sized selling a full range of .... Click here for the full review. "We have been running for over 20 years" and "John has been the proud owner of orchard nurseries since 1982" are two quotes from the website of Orchard Nurseries which don't quite tie up .... Click here for the full review. Otter Nurseries started out in 1963 when the owners started a small nursery on the current site. Demand far outstripped their ability to grow plants on the small site so they expanded it more and .... Click here for the full review. This is a medium to large sized garden centre which stocks a wide range of plants, trees, shrubs etc., more than enough for the average gardener to choose from. The area is mainly hard paved and the .... Click here for the full review. You know what you're getting at Rosemoor, wonderful plants set in a beautiful landscape with blots of interesting walks. At the same time though they have an on site plants nursery with .... Click here for the full review. Sidmouth Garden Centre is medium sized and they do a good job of offering a wide range of plants in the area they have. They stock fruit trees, bushes, ornamental trees, roses, shrubs and many other .... Click here for the full review. St John's started out in business in 1958 as a small nursery growing their own plants and vegetables for sale. The business was started and is still run by the Oliver family. Expansion was quick including a .... Click here for the full review. St Bridget Nurseries in Old Rydon Lane in Exeter have a fascinating history with four generations being involved from 1925 until the present day. 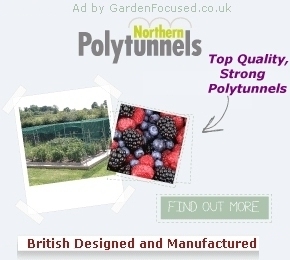 Although a modern garden centre they still grow the vast .... Click here for the full review. As you go in through the entrance you enter the covered plants area which houses tender plants and some other goods. It's very attractively laid out, light and airy and big for a covered area. The main uncovered plants .... Click here for the full review.